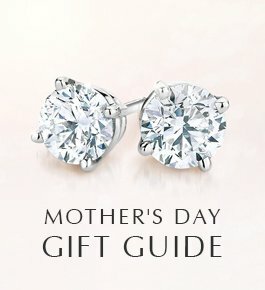 Where should you propose? 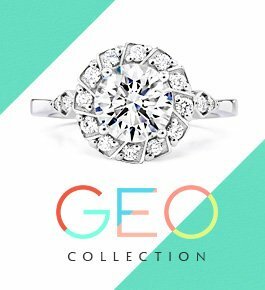 Select your city from the map to see our favorite places to pop the question in your hometown! 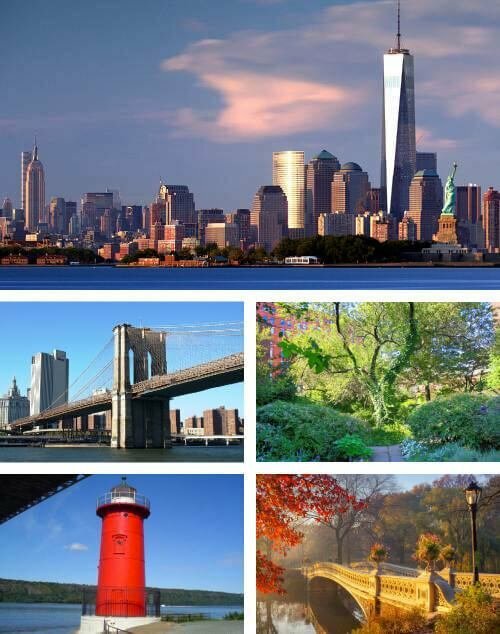 Few places in the US are as exhilarating as the Big Apple, which makes it one of the best spots to get engaged. When it comes time to propose in New York, you have an infinite number of romantic spots to choose from. Here are 5 options to propose in New York City that will blow her away! Walk hand in hand across the Brooklyn Bridge at sunset and enjoy the spectacular city skyline behind you. As the water shimmers below and seagulls caw overhead, get on bended knee and ask for her hand. There are few places to escape the hubbub of city life in Manhattan, but the Garden at St. Luke’s is a miniature oasis of greenery come spring. Find a quiet afternoon and lead her to the garden to propose marriage. Located in Ft. Washington Park, this lighthouse is officially known as Jeffrey’s Hook Light. Though the red lighthouse is recognizable to many New Yorkers, many never take the time to stop and admire the structure. It’s no longer functional, but it is one of the last remaining lighthouses in New York, which makes a memorable backdrop for a couple’s engagement. The Highline spans across the East side of town so pick your favorite nook and leave the city below you. Ideally, find a time in the early morning before the crowds arrive. When it’s just the two of you tucked away from the noise down below, pull the ring from your pocket and ask if she’ll be your wife. Central Park is one of the most peaceful areas of New York City. With over 1.3 square miles of green space, there are plenty of romantic spots to propose. We love the Bow Bridge for its elegance and charm. In front of The Cloud Gate sculpture (AKA “The Bean”). 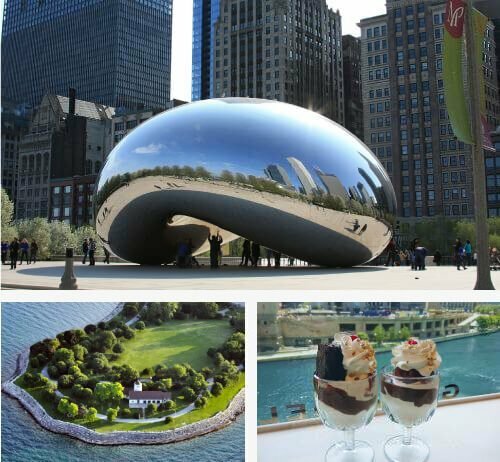 The Bean is one of the quintessential Chicago landmarks. Visit the shiny sculpture in Millennium Park to take photos of yourselves and capture some sweet kisses in the reflection. Though Lake Michigan spans most of city, Promontory Point is a peaceful escape from the downtown section of lakeshore. Head South along Lakeshore Drive until you reach the University neighborhood and find the grassy strip of land jutting out over the rocks. 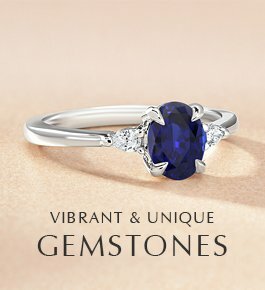 On a warm spring day when the sun is high in the sky and the flowers are blooming, get down on one knee and propose. Over decadent ice cream sundaes at the Ghirardelli store downtown. For chocolate lovers, the Ghirardelli store is one of the highlights of the Windy City. Stop in on a blustery afternoon for a sweet treat and propose over a mountain of frosty ice cream with chocolatey toppings. The hilly terrain and temperate weather make San Francisco a gem of the West Coast. For local couples and tourists alike, there are dozens of spots for the perfect engagement. If you’re looking for romantic ideas for a San Francisco proposal, we’ve got you covered. This westernmost point of San Francisco is a stunning natural terrain, with breathtaking views of the Golden Gate Bridge, the bay, and rocky cliffs. The windswept shoreline is popular for its mile long Coastal Trail, a meandering hike lined with shady trees and wildflowers, and is a perfect spot for a secluded, picturesque proposal. At night time on the Bay Bridge, you can watch a spectacular light show designed by artist Leo Villareal. It’s a breathtaking sight to see the twinkling lights against the velvety sky, making it the perfect place to propose in San Francisco. On the top level of this majestic theater there is a balcony with a beautiful view of San Francisco’s city hall and the lights of the city. It’s a gorgeous view—romantic, unique, and the perfect spot to propose during a show’s intermission. 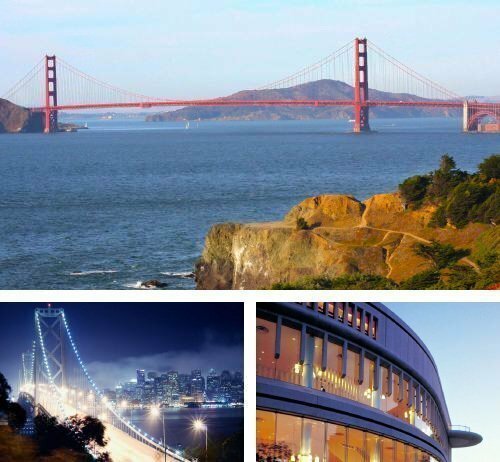 This West Coast city’s legendary sprawl means there are hundreds of great spots for a sweet proposal to your loved one. 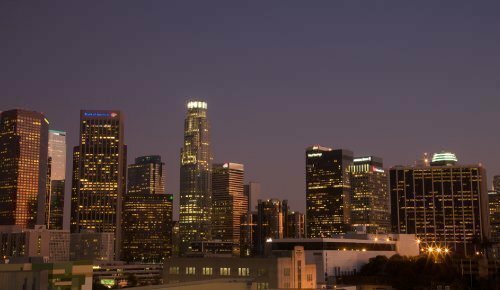 When you’re ready to pop the question, consider these places to get engaged in LA. The Pacific Coast Highway is one of the most beautiful roads in America. With stunning cliffside views and endless blue ocean, there’s no bad place for a proposal. 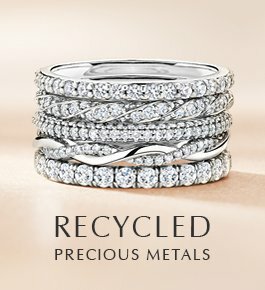 Consider revealing the ring at Hermosa Beach Pier, or in the Malibu or Pacific Palisades neighborhoods. Top of Topanga Overlook is the obvious spot to pop the question, but anywhere along the land’s miles of trails will do. Explore the unique cave structures and work up a sweat hiking the winding routes in this beloved state park. When you find a moment to take a breather, present her with the ring and ask for her hand in marriage. Vegas may be the land of sin, but that doesn’t mean true love can’t blossom. Whisk your lady away for a weekend of over-the-top living. When the champagne is flowing and you’re both in good spirits, declare your love and ask for her hand. Here are a few of the best proposal spots in Las Vegas. 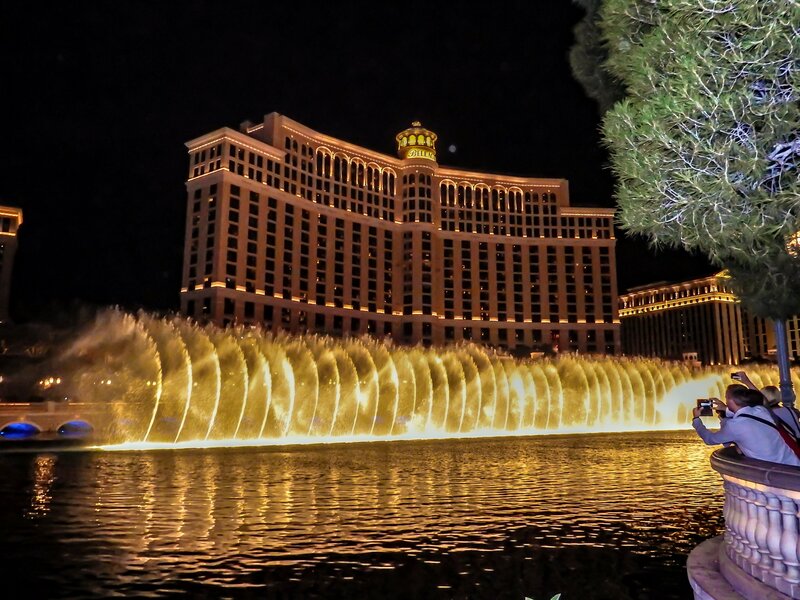 Sure, people say: “What happens in Vegas, stays in Vegas,” but when you stun her with a breathtaking proposal in front of the opulent Bellagio Hotel she’ll carry the memory with her far beyond your trip to Sin City. When the sky is a deep navy but the air is still warm from the day’s desert heat, watch the famous fountain show and propose marriage on the finishing notes. Hire a driver and go for a night time ride along the strip. Before you head back to your hotel, stop in front of the faux Eiffel Tower and propose to your lovely, lucky lady. They say “everything’s bigger in Texas” but that doesn’t mean a small scale proposal is a mistake. In fact, some of the sweetest engagement ideas in Dallas rely on a more intimate setting. If you’re planning to propose in this larger-than-life southern locale, you might consider one of these Dallas proposal ideas. For a truly breathtaking view of Dallas, head up to Reunion Tower at sunset. As dusk falls, ask for her hand in marriage with the glittering city lights 560 feet below. 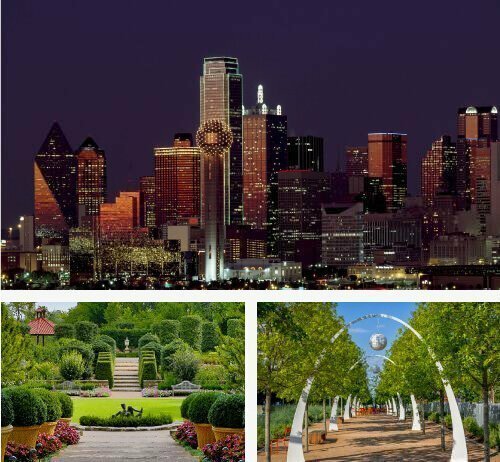 The Dallas Arboretum and Botanical Garden is a 66-acre verdant escape from urban life. Just minutes from downtown Dallas, you can pop the question during one of the Thursday night concerts in the park. Or, if she’s a book lover, drop to one knee in front of the William Shakespeare bench and let his words inspire your romantic proposal. Located in uptown Dallas, this is a five acre gem nestled in the heart of the metropolis. With food trucks, fountains, and fitness classes, this area of town is always hopping! For Dallas urbanistas, Klyde Warren Park is a great place to propose. Seattle may be known as the coffee empire of America, but it’s so much more than just the birthplace of Starbucks. 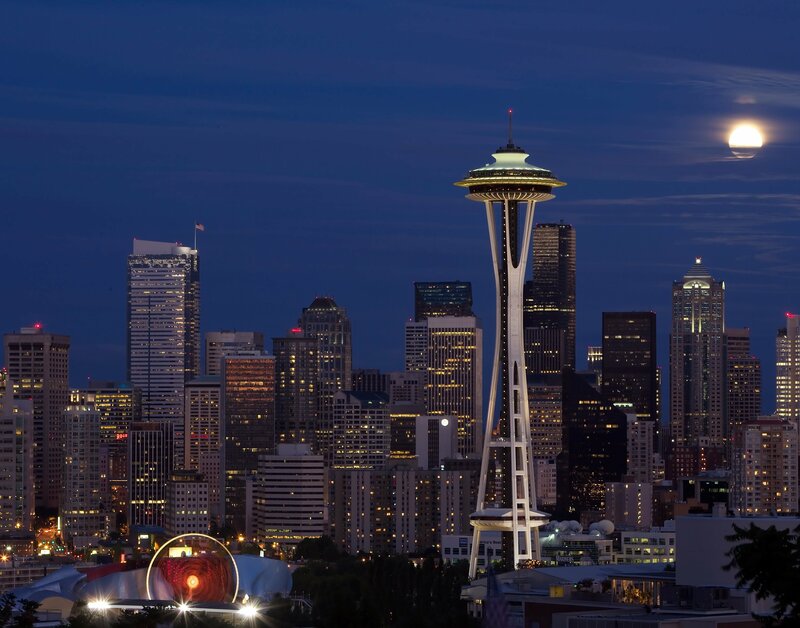 With startling views of looming Mount Rainier, numerous parks and attractions, and impressive structures like the Space Needle, there are dozens of great places to get engaged. The iconic Pike Place Market is the perfect place to propose if you hit it up at just the right time of day. Early morning or early evening is best to avoid the crowds. For a particularly memorable moment, drop to one knee in front of the popular pig Rachel the Piggy Bank. If you’re both fans of the water, a ferry ride from Bainbridge Island is a romantic place to get engaged. To plan the perfect moment, time it just right so you’re popping the question as you head back into Seattle at dusk. 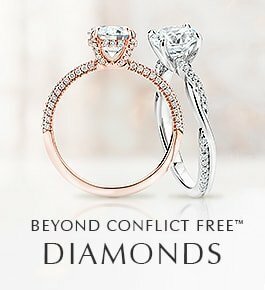 With the sun setting and the skyline pictured in sharp relief, pull out the sparkler and propose to your beloved. 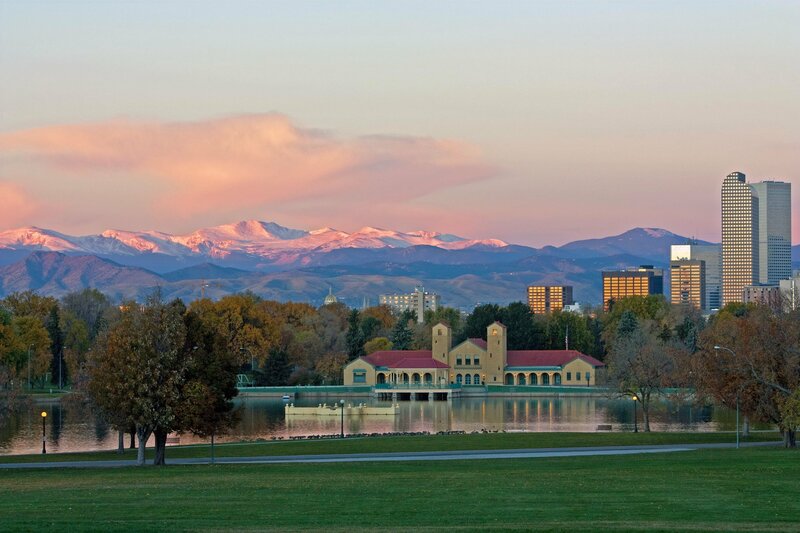 Denver is one of the best cities in the country for active couples. With the mountains less than an hour away, there are numerous opportunities to propose outdoors surrounded by nature. However, if you prefer to pop the question in a more urban setting, there’s no shortage of options. Here are a few of our favorite Denver proposal spots. Beer lovers rejoice in the laidback atmosphere of Wynkoop, a beloved local brewing company. If you and your lady are both fans of craft beer, consider proposing over two foamy pints and some hot appetizers. A brewpub is the perfect proposal location for easygoing gals. For a proposal that gives you the best of both worlds, take your sweetheart to the Botanical Gardens. Without leaving the city, you can relax in this verdant oasis. Should you choose to pop the question in the wintertime, the holiday light show is one of the highlights of the year and the ambience is warm, cheery, and romantic. DC might be the capital of the free world, but this politics-entrenched city has incredibly romantic nooks to escape to as well. 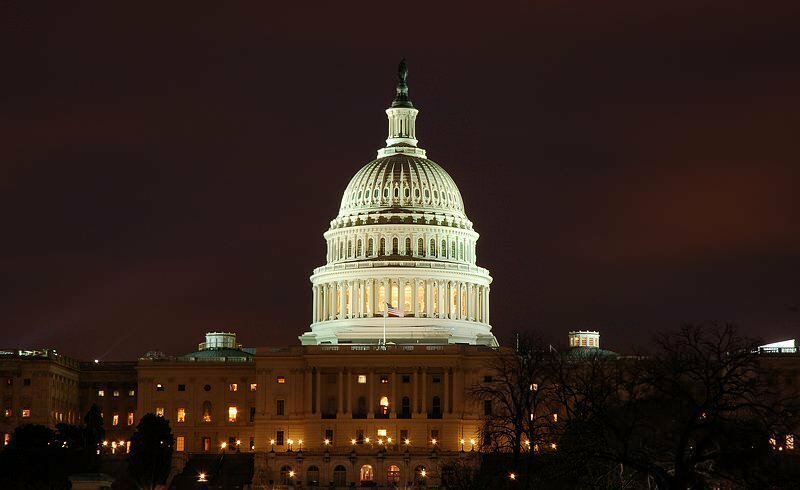 While a nighttime monument tour might take the cake for the most breathtakingly beautiful proposal backdrop, there are dozens of sweet places to get engaged in the DC area. This secluded green space on 16th Street is known for its Sunday afternoon drum circle and slack liners, but at sunset, it provides one of the best views in the entire city. Watch the sun slip behind the horizon from your perch over the stair fountain and propose when the moment feels right. Though the Tidal Basin is most popular during the Cherry Blossom festival, it’s a gorgeous stretch of greenery all year round. With breathtaking views of the Jefferson Memorial and a nicely shaded path for walking hand in hand, the Tidal Basin is a picturesque place to propose in DC. The city of Boston has some of the oldest buildings in the U.S. tucked among modern skyscrapers, making it the perfect spot for all different types of couples to get engaged. Whether you’re looking for a classic backdrop or a more contemporary setting, we’ve got you covered. Check out these Boston proposal ideas. 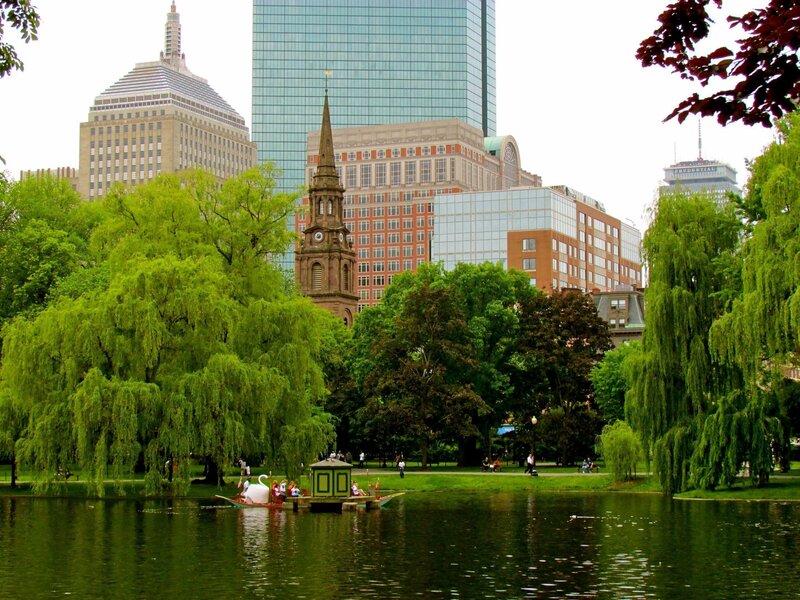 Boston’s green space is one of the most popular places to visit in the city. While the pond makes a great proposal setting, you could opt to get down on one knee in front of the “Make Way for Ducklings” sculpture for a particularly photogenic moment. The Liberty Hotel is one of the most interesting boutique hotels in the city. A former jail, the building has been converted into an opulent, airy space. Head to the hotel bar (cheekily named “The Clink”) during cocktail hour for a classic marriage proposal with celebratory bubbly. 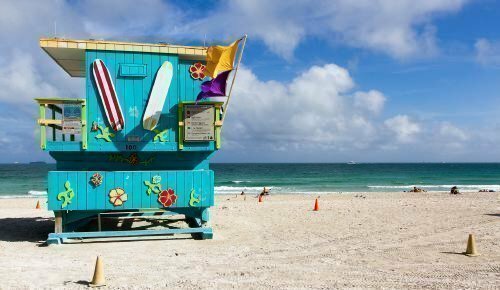 Miami Beach is one of the most popular vacation spots in the US. With nearly perfect weather year round, you’re almost guaranteed sunshine and 80 degree days. If you’re planning to propose in Miami, you have dozens of options at your fingertips. The beach at dawn makes for an intimate setting, but if you’re looking for something slightly unpredictable, we’ve got a few great spots for your Miami proposal. When you’re ready to escape from the sand and sun, head to the Wynwood Walls in Miami’s new hipster area. The neon art makes for one of the most unique and recognizable backdrops in Miami. Go at night and stroll hand in hand as you walk amongst the sculptures and lights. Located just a block north of the main South Beach strip, Española Way is a cute cobblestone street with restaurants and an old timey feel. With twinkling lights overhead and a gentle ocean breeze, propose over icy treats from the famous gelateria.